Leeds, UK, 13 September 2016 – Impra Gas offers boiler and central heating installation for private homeowners. Focusing on delivering an outstanding service that provides quality, reliability, honesty, value for money, and high quality workmanship to customers throughout the UK. 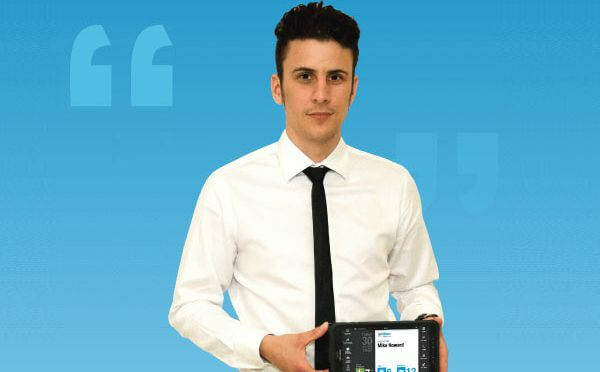 Having won ‘The Apprentice’ prize of £250,000 from Lord Sugar, founder and CEO Joseph Valente has used the investment to expand the business throughout the UK. In addition to providing boiler and heating installation, Impra Gas will also be championing smart heating and smart home technologies, partnering with the industry’s most innovative technology providers as soon as they enter into the market. How did you hear about BigChange? Following the investment from Lord Sugar, we began looking at strategies to expand Impra Gas sustainably and we determined that the most effective way to achieve this was through the use of technology. So we carried out thorough research into job management software that could help improve our business processes effectively and came across BigChange, which ticked all of the criteria to meet our needs. Explain in detail what led you to choose BigChange? In order to manage our business growth we wanted to invest in next generation technology that would help us to compete above and beyond companies like British Gas. We made the decision to rid our company of manual processes and paper based systems that created inefficiencies and limited our potential. BigChange was chosen because it could be easily integrated into our day-to-day work practices and was scalable against our growth. We saw BigChange as the best solution for us as it contained all of the functions that we needed to ensure that our own business objectives were met. What services of JobWatch does your company use? We use JobWatch for every aspect of our business activity. From booking jobs, to invoicing and coordinating our back office with our mobile workforce; there is nothing that JobWatch can’t do, other than the installation of the boilers and bringing in more clients. Everyone in our organisation uses the software from engineers to sales advisors, to those working in scheduling to accounts. It is an all-encompassing product, which can be rolled out across any service field of business. What direct results have you seen from using JobWatch? JobWatch has played a crucial part in seeing manual processes streamlined and turnover increase substantially within the business. It has also allowed us to control and manage all ongoing jobs in a much more efficient way, meaning we have increased booking an extra 10 jobs a day to over 3,000 in the last 6 months.